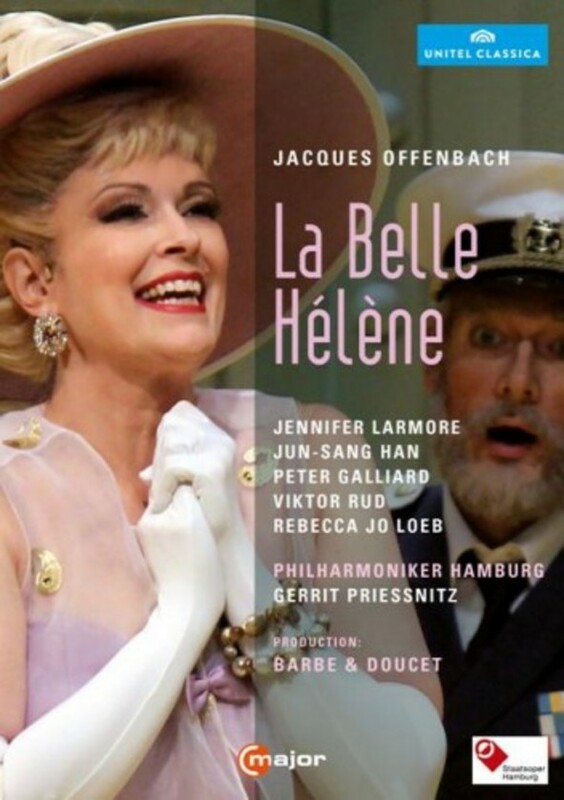 Jacques Offenbach’s La Belle Hélène has always been one of its composer’s most successful works. Its first performance in Paris was quickly followed by productions in Vienna, Berlin, London, Milan and New York. A satire of middle-class values, this opéra bouffe pillories narrow-mindedness in society. Adopting a pro-active stance, director Renaud Doucet and designer André Barbe treat the piece as a "great show" with numerous choreographic elements, relocating the action of Offenbach‘s classical spoof and setting it on a cruise ship in the 1960s, when Flower Power, love and drugs were all the rage. “La Belle Hélène is a firework display for ears and eyes” (Hamburger Morgenpost), “opulent and amusing” (Bild), and in the title role Jennifer Larmore convinces with her “fantastic vocal performance” (Das Opernglas).